A 42-year old man, Mr. Abioye Olakunle, has been caught in a double game after he obtained N850,000 from a married woman, one Mrs. Kehinde Opebiye and promised to marry her but ended up duping her in Lagos. The woman was reportedly planning to leave her husband and marry Olakunle before the bubble busted. According to PM Express, the alleged scam happened at Irewolede Street, Shasha area of Lagos where Olakunle resided with his wife and children. It was learnt that the woman discovered that Olakunle was married and had children but told her that he was still single and wanted to marry her. She then requested her money back but Olakunle refused. He asked her to come in and join his wife; as he was still prepared to marry her having realised that he was married. The victim then confessed to her husband who had been suspicious of her movements before she opened up. 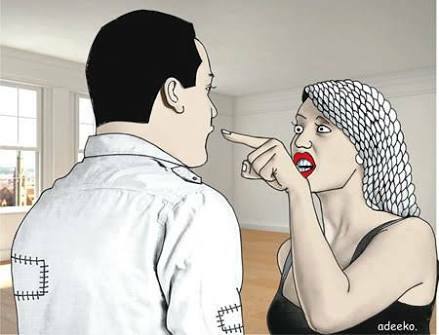 She pleaded for forgiveness and told the husband that she might have been charmed by Olakunle to behave in such a manner. Her husband forgave her; they became united, went to the police at Shasha Division and reported the alleged scam. The police later arrested Olakunle, detained and asked him to refund the money to her. However, Olakunle was found culpable and charged before the Ejigbo Magistrates court on Thursday for marriage fraud and stealing. The prosecutor, Inspector G. Simon did not oppose his bail because the offence was bailable. Thus, the Presiding Magistrate, Mr. L.K.J. Layeni granted Olakunle bail in the sum of N200,000 with two sureties in like sum.